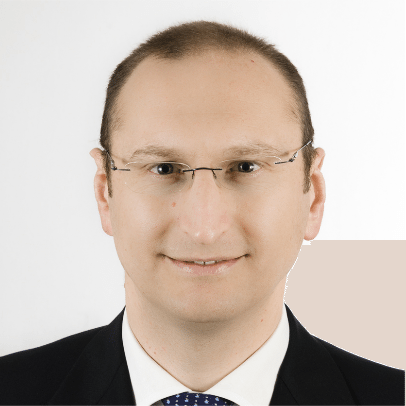 Christophe Bodin is an independent consultant specialised in Strategy, Finance and Development, supporting innovative companies in the Telecom Industry and the Digital Economy. He helps entrepreneurs to make strategic choices, build realistic development and find appropriate financial resources (European grants, capital and debt). Christophe has 20 years of experience in the High-Tech industry, managing strategic projects and strategic plans for SMEs and for Blue Chip companies (Areva, Amazon.com, Bouygues Telecom). He holds a Telecom Engineer degree from ENST (France) and is a graduate from INSEAD MBA. Corporate finance professional with 15+ years of work experience in originating and structuring financial deals on grants, debt and equity, including innovative R&D projects and expansion plans in many industries like investment goods, processing technologies, food & beverage, healthcare, ICT, automotive and green energy. Previous involvement in the investment industry as asset manager. MBA with high honors from The University of Chicago - Booth School of Business. Executive Certificate in Strategy & Innovation from the MIT - Sloan School of Management. As an EU policy consultant for Media Deals, Marion supports the development of the company’s relationship with the European Commission and other European institutions as well as supports clients in the preparation of European funding applications (H2020, Creative Europe). She is currently managing a EU project called WeHubs, which is the first European network of Women web Entrepreneurs Hubs. After obtaining a Master’s Degree in European Project Management, Marion gained experience as a project coordinator for the European Network of Young Cinema in Paris. She then worked in London as a programme coordinator for the Raindance Film Festival. After that Marion joined EUROCITIES, which is a network of major European cities, where she assisted the policy adviser in charge of cultural policies. Additionally, Marion works as a consultant for peacefulfish, which is a creative industries financing consultancy.